Call Today For A FREE Measure & Quote! Let Accolade® Weather Screens Take Your Outdoor Experience to the Next Level! Accolade’s outdoor blinds are designed to be installed and retro fitted to the inside of your existing outdoor area. They are a easy way to manage heat and light. When combined with Accolade® PVC Weather Screens, creating a fully functional outdoor area which blocks out wind, rain, sun and privacy is achievable. Accolade® Blinds are perfect for outdoor areas which have a westly facing aspect. And they are great for those who are looking at creating privacy from neighboring eyes. Above it is Simple to use. Accolade® Outdoor Binds are operated using a smooth stainless steel chain and come standard with an extruded aluminium bottom rails which provide a modern and sleek look. Accolade® Blinds come in a variety of setups, colours, patterns and are available in sunscreen, translucent and blockout options. 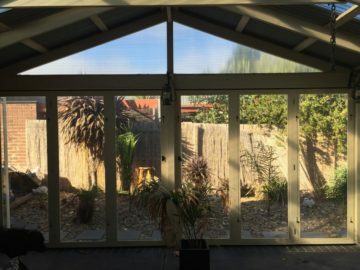 All our blinds are designed to survive the harsh Australian environment and are custom made to suit your existing outdoor area. 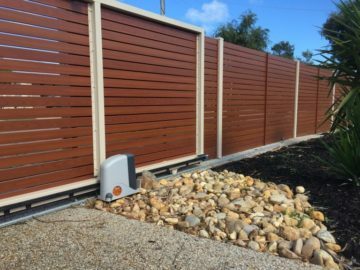 Accolade® is your one-stop shop for weather screens, gable infills, outdoor blinds or PVC bistro blinds or cafe blinds, aluminium slat fencing, automatic and manual gates. So if you need to replace your old Ziptrak Outdoor Blinds? Switch to Accolade Outdoor Blinds in Melbourne. To find out more about our Accolade® Outdoor Blinds, please click on our galleries, view our informative videos or contact us today to organise a free measure quote. Australians love outdoor entertainment. 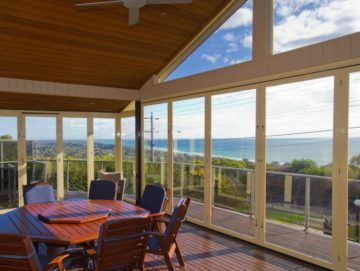 And at Accolade® Weather Screens, we love helping Australians maximise their usage of their outdoor area everyday. We’re committed to providing real weatherproofing solutions to every style of outdoor area and structure, and have helped transform over 15,000 homes all over the country. Accolade® PVC Weather Screen System is designed to bi-fold, stack, slide, and hinge open – allowing you to maintain an open or closed outdoor environment with ease. 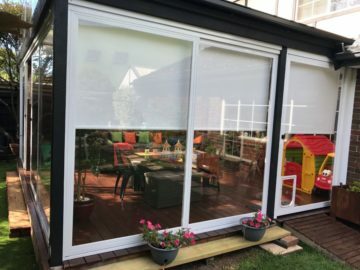 An innovative and stylish alternative to traditional PVC Café Blinds, Accolade® has also developed internal sunblock out blinds which complement our Accolade® PVC Weather Screens range, and will give your home a complete solution to all weather conditions. 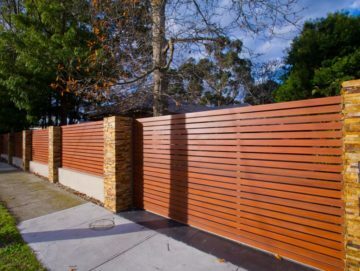 Also available at Accolade® are our extensive range of Ali Screen’s woodgrain aluminium slats, which are ideal for feature walls, motorised gates, fencing, and privacy screening. To see Accolade® Outdoors in action and to find out how we can transform your outdoor area, please browse our products, gallery or contact us today to organise your FREE measure and quote. Accolade Weather Screens Advertisement from Accolade Screens on Vimeo. A framed PVC Screen which is a stylish & affordable alternative to PVC Café Blinds / PVC Bistro Blinds. Poly-carbonate and Perspex infills for gables and unusual shapes.